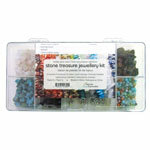 Jewellery kits contain an assortment of natural gemstone chips, colourful beads, charms and accessories for making bracelets, necklaces and earrings. 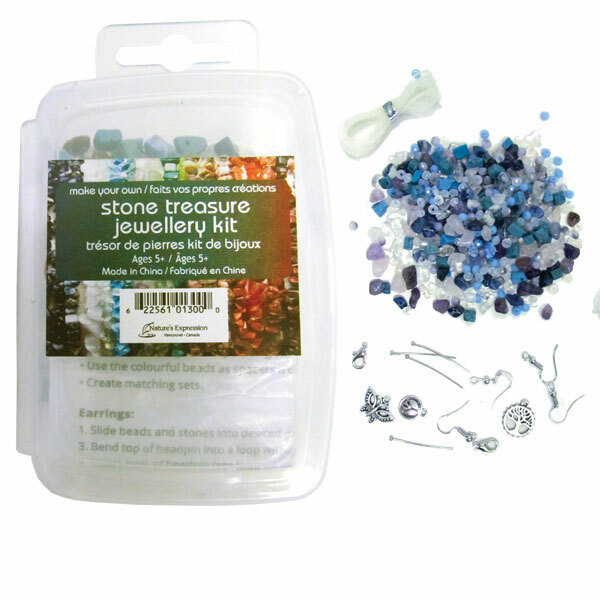 Enjoyed by kids and crafters alike, everything needed to make unique jewellery is included. The sturdy plastic package is ready to hang on a retail display.